Rosary woes: "Let's say it fast, I've got other things to do." The attendees attempted to say a "speed rosary" in record time, which amounted to them "mumbling" through the prayers. The prayers themselves (or what they could make out through said mumbling) seemed fairly repetitious and lacking emotion. For their benefit, here's a starting point for understanding the rosary in the Catholic tradition--rest assured, it should be generally free from mumbling and full of deep Scriptural meaning. If someone can accomplish those two things and still say it in record time, well, good for them! The rosary as we understand and pray it today is a devotion in honor of the Virgin Mary. It consists of a set number of specific prayers--the first are introductory, but the bulk of it consists of a meditation on Scripture. The rosary within the tradition of the Catholic Church is first and foremost a "personal piety," meaning that the Church loves and approves of its use, but doesn't require it at all (contrast that to attending Mass each Sunday, which is an obligation, not a personal piety). The rosary opens with the Apostle's Creed--a creed not written by the apostles, but a compilation of their teachings. Non-Catholic Christians can find much common ground in the Creed. Then comes an Our Father (we all love that one!) and three Hail Marys. The Hail Mary is mostly lifted right from Scripture, with the exception of its last line, which is Scripturally based. The last prayer of the opening of the rosary is a "Glory Be," which is a simple Christian hymn of praise to God. You can find/read all those prayers here. After the introductory prayers comes the meat of the rosary--the decades. A decade consists of one Our Father, 10 Hail Marys, and a concluding Glory Be. There are 20 decades in a full rosary (which takes about an hour to say), but most times, when we say "I'm going to say a rosary," just five decades are said. Each decade is devoted to a mystery regarding the life of Jesus or his mother--it's essentially a meditation on the Gospels. As catholic.com says, "Here the word mystery refers to a truth of the faith, not to something incomprehensible, as in the line, 'It’s a mystery to me!'" So, for instance, we begin a rosary of the Sorrowful Mysteries by saying: "The first sorrowful mystery: The Agony in the Garden." Then an Our Father is said, then the Hail Marys, then the Glory Be. And during that decade, the goal is to meditate the meaning of that event. "First we must understand that they are meditations. When Catholics recite the twelve prayers that form a decade of the rosary, they meditate on the mystery associated with that decade. If they merely recite the prayers, whether vocally or silently, they’re missing the essence of the rosary. It isn’t just a recitation of prayers, but a meditation on the grace of God. Critics, not knowing about the meditation part, imagine the rosary must be boring, uselessly repetitious, meaningless, and their criticism carries weight if you reduce the rosary to a formula. Christ forbade meaningless repetition (Matt. 6:7), but the Bible itself prescribes some prayers that involve repetition. Look at Psalms 136, which is a litany (a prayer with a recurring refrain) meant to be sung in the Jewish Temple. In the psalm the refrain is "His mercy endures forever." Sometimes in Psalms 136 the refrain starts before a sentence is finished, meaning it is more repetitious than the rosary, though this prayer was written directly under the inspiration of God." "So the beads hold our place, keep our physical body engaged in an attitude of prayer, the Hail Mary prayers engage our lips in intercession and the mysteries engage our hearts and minds on Christ and the events in the Gospels. What's not to love here?" And so, to go back to the question that sparked this tome of a note (and its title): Saying a rosary, with its meditation through meaningful, repetitive prayer, brings one to focus on the mysteries in the Gospel, the life of Christ, and the role of Mary as Mother of God. Reducing the repetition to rote recitation, though, strips the rosary of its beauty, and empties it of its meaning (and power). Rosary Beads: Vain Repetition or A Way to Holiness? AND, just for fun: Scriptural references for all 20 mysteries. The Joyful Mysteries are these: the Annunciation (Luke 1:26-38), the Visitation (Luke 1:40-56), the Nativity (Luke 2:6-20), the Presentation of Jesus in the Temple (Luke 2:21-39), and the Finding of the child Jesus in the Temple (Luke 2:41-51). Then come the Sorrowful Mysteries: the Agony in the Garden (Matt. 26:36-46), the Scourging (Matt. 27:26), the Crowning with Thorns (Matt. 27:29), the Carrying of the Cross (John 19:17), and the Crucifixion (Luke 23:33-46). Next are the Luminous Mysteries: the Baptism in the Jordan (Jn 1:23), the Wedding Feast at Cana (Jn 2:1), the Proclamation of the Kindgom (Mk 1:14), the Transfiguration of our Lord (Lk 9:28), and the Last Supper (Mt 26: 17). The final Mysteries are the Glorious: the Resurrection (Luke 24:1-12), the Ascension (Luke 24:50-51), the Descent of the Holy Spirit (Acts 2:1-4), the Assumption of Mary into heaven (Rev. 12), and her Coronation (cf. Rev. 12:1). PHILADELPHIA (CBS) – A West Philadelphia abortion doctor, his wife and eight other suspects are now under arrest following a grand jury investigation. 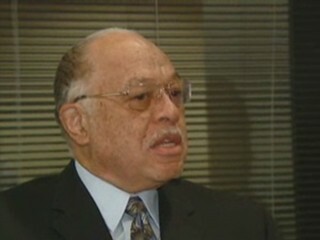 Dr. Kermit Gosnell, 69, faces eight counts of murder in the deaths of a woman following a botched abortion at his office, along with the deaths of seven other babies who, prosecutors allege, were born alive following illegal late-term abortions and then were killed by severing their spinal cords with a pair of scissors. That's right--a pair of scissors. Abortion on demand, at its finest. It's all about the feet. 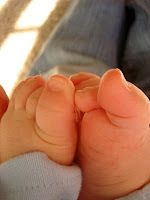 Precious feet, that is. Here's your friendly reminder that in less than two weeks, we'll mark yet another anniversary of Roe v. Wade, and the 50 million lives that have been lost since. Fifty million. Perspective: That's equal to the combined populations of 25 states. So proudly don your precious feet at work. Slap that blue and white Crossroads "PRO LIFE" bumper sticker on your car. Stand out in the cold for 15 minutes to say a rosary in front of your nearest Planned Parenthood. And don't worry--with more than 800 "health centers" in America alone, there's bound to be one nearby. 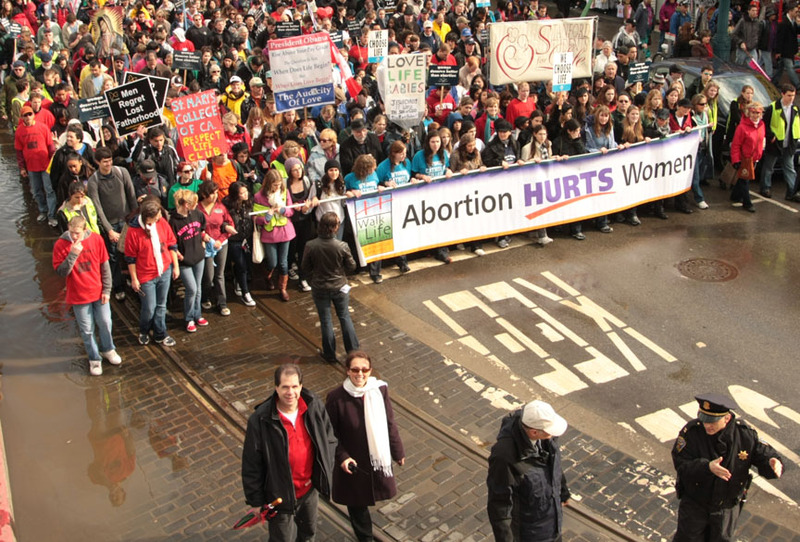 If you're able, attend either the West Coast Walk for Life in San Francisco or the March for Life in Washington D.C. Both are awesome ways to support a culture of life--and they're peaceful, prayerful, youth-and-family-filled events. Or, do whatever else the Lord calls you to do. We can all do something. It's January. It's the month we speak up, more than ever, for the unborn. Blessed be God Who helped me find my keys. Nada. Not there. Like that bad driver in front of you who realizes he's missing his offramp and veers at 60 mph across solid white lines and makes it with 10 feet to spare, I swerve my Snap-n-Go out of the line of exiting-shopping-cart traffic and pull off into the electronics. Where are they? Check the coat pockets five times. Check jeans pockets. Check nooks and crannies of said leather purse--no dice. Sigh. Get hot and flustered in winter coat, and cue Baby J's first whimper of "You don't look like you're taking this so well, Mom, so I'm going to add to the fray: Waaaaaaah!" Take diaper changing supplies, spare baby outfit, spare baby distraction rattles AND the hooter hider out of the purse, just to make sure the keys aren't hiding somewhere within. In all this, my heart told me repeatedly: "Pray, pray, pray. Pray to St. Anthony. Pray to the Blessed Mother. You could even go straight to our Lord. Just invoke someone, please!" But in my head, I could only make room for this practical, definitely non-prayerlike thought: "I'll have to call Sean (at work) and have him leave to come pick us up. At least he's not out of town today. He'll just have to come get us." I make the call to the hubby, only to get his voicemail. Hrm. As my practical plan is thwarted for a moment, my heart makes one last entreaty: "You could at least go out to the car and pray that you left it unlocked, and the keys are somewhere inside." Alright, heart, I'll take your advice instead of calling the hub's cell every 20 seconds until he picks up. Baby J and I brave the wet snow and the stroller-jamming slush, and head out to the car. I peek into the driver's side window--they're not on my seat or in the ignition. I wheel the stroller back to the trunk, retracing my steps from when I first arrived and--clink clink goes something under my foot. There they are, already three-quarters covered in the fast-falling snow. But there they are. I hope I was able to somewhat emulate the one leper (out of 10) who knew he had to first return and "give thanks to God" for the miracle. In all your ways be mindful of him, and he will make straight your paths. Or: "On your own cell phone, rely not. He will make a straight path, to your keys."